Sony KDL-55W955B unboxing video | What Hi-Fi? We've just got our hands on the first of Sony's 2014 TVs, the £1600 KDL-W955B. 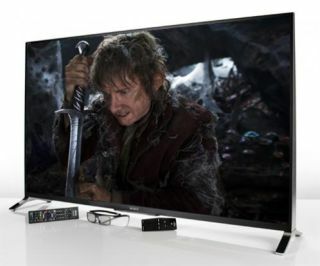 It's not 4K, but it is one of the flagship models in Sony's Full HD LCD/LED line-up. So expectations are high. Here we run through the set's highlights in our unboxing video, including its unusual 'wedge' design, and you can read our full review here.